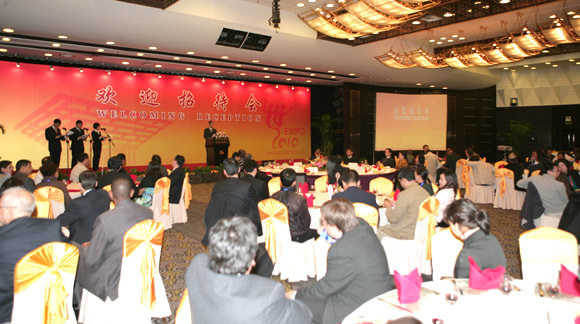 On April 27, 2010, Vice Foreign Minister Zhang Zhijun hosted a welcome reception for over 100 journalists from developing countries who come to China to cover the Shanghai World Expo. 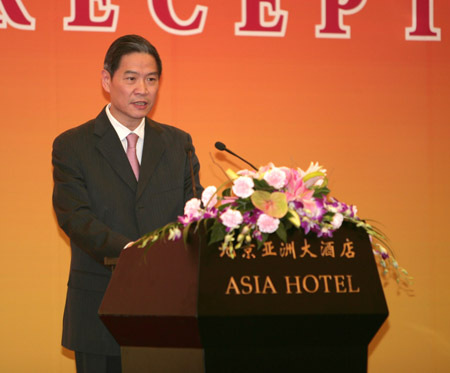 In his speech, Zhang expressed warm welcome to the journalist friends who have come from afar to share the happy moment with the Chinese people. He said that the exchanges and cooperation of media play an increasingly important role of promoting China’s friendly and cooperative relations with other developing countries and strengthening the mutual understanding and friendship among people of developing countries. Shanghai World Expo is the first of its kind hosted by a developing country and creates great opportunities for the world to understand China and for China to understand the world as well. He expressed hope that by the visit the journalists can better understand China’s development and play a positive part of advancing China’s friendly and cooperative relations with other developing countries. The delegation is composed of over 100 journalists from nearly 70 developing countries and invited by the Shanghai World Expo news center. In addition to Beijing, it will go to Shanghai to cover the World Expo and visit Jiangsu province.